I have been receiving worrying text and voice messages from returnees who are either themselves stuck in Jaghori and Malistan, or are concerned about their families facing threat to their lives every passing moment. 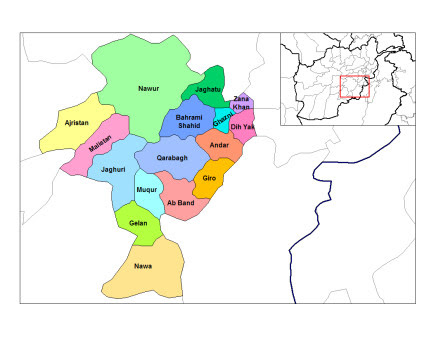 New updates from Jaghori, and Malistan suggests that Taliban’s attack has got more intense and more enforcement from the neighboring provinces are joining them. On the other hand, there is very little support provided to the locals who are defending their families and their lives. Jaghori was considered one of the safest districts of Afghanistan that had never seen war after the fall of Taliban regime in 2001. Today it is on the brink of falling in to the hands of Taliban and can witness a genocide in making. Imagine where is Afghanistan leading concerning the deteriorating security situation. This should be an eye opener for the European states deporting Afghans that the message they have been trying to convey to the European public on the safety of Afghanistan suitable for return is based on lies and misconceptions. Now it is the time for the European states to be ashamed of themselves and accept the fact that they have lost the war in Afghanistan and sending innocent lives back to danger they can’t either save their lost image, nor they can deceive the European public anymore. Because today, the European public, activists and will wishers of Afghan asylum seekers are more aware and updated on the situation of Afghanistan than they have ever been, and they will not stop putting pressure on their government to stop forces return to Afghanistan.